grousers snapshots - Daily Photography from Ludlow, United Kingdom. grouser (Ludlow, United Kingdom) on 22 April 2019 in Cityscape & Urban. Long may they survive without 'improvements' ! Well made collagework with this two versions. This nice terrace houses were a really good solution for living while the industrial revolution. Real nice look at these fine houses. Very nice views from the houses over the River Dee. I like the colour version best, b/w is a bit gloomy. 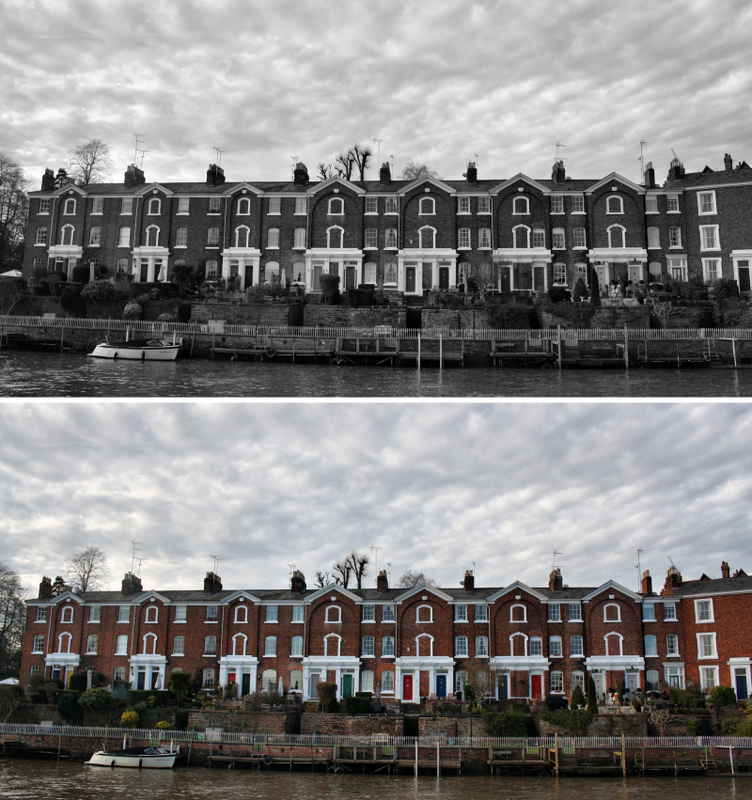 Beautiful terraced homes that you've spotted here! So well-maintained as well. I am torn between which version I like best. They both have their own merits. The B&W appears gloomier. I prefer the color version. But I prefer the colored one !! That's it I remember : "There was a jolly miller once lived on the River Dee. He danced and sang from morn till night no lark so blithe as he...."
The color shot seems a little more cheerful.